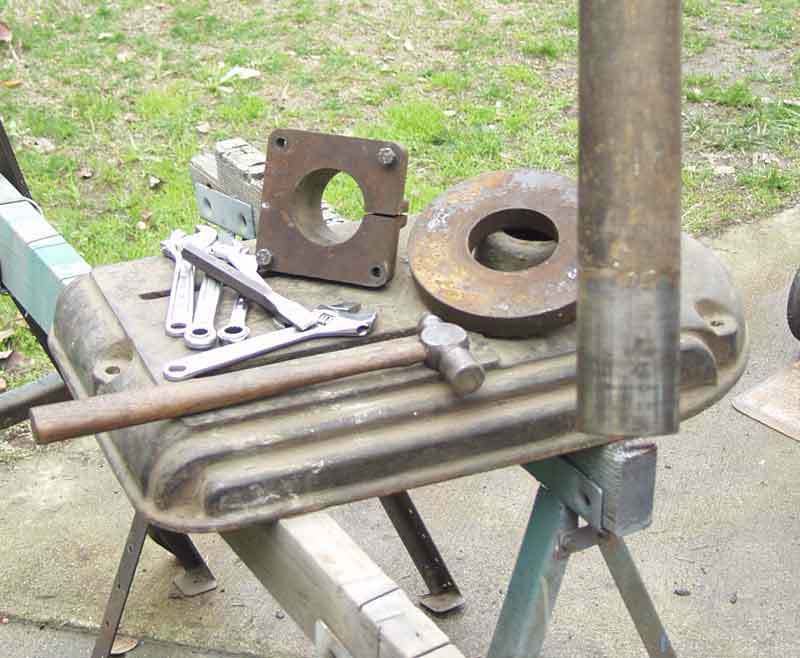 There have been several discussions about removing drill press bases from the column. They can be very difficult to remove, to say the least. 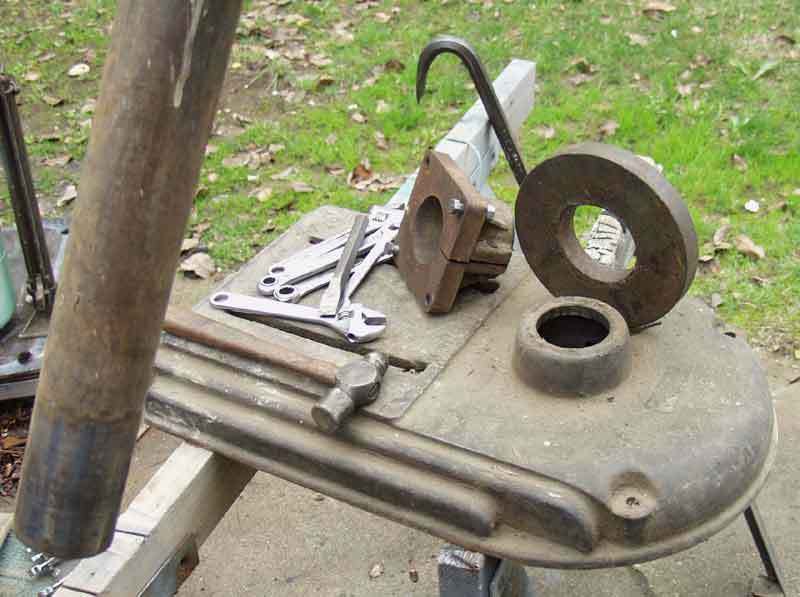 Here is a puller designed to make the process easier. 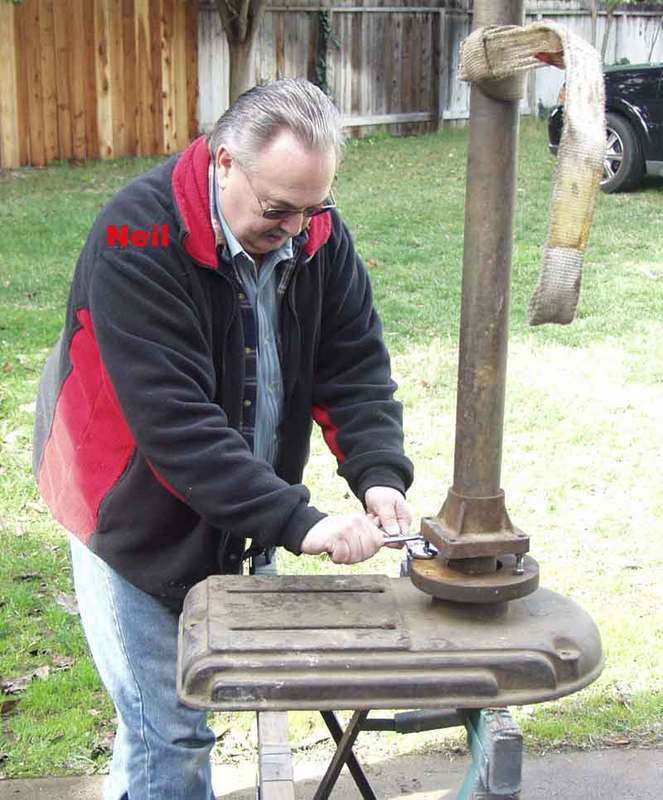 The puller could be improved in several ways to work a little faster. Threaded rod instead of bolts would help. 2 small bottle jacks, one on each side would be faster. But it is still very useful, even in its primitive form. How much effort, time, and money do you really want to put into something like this, anyway? 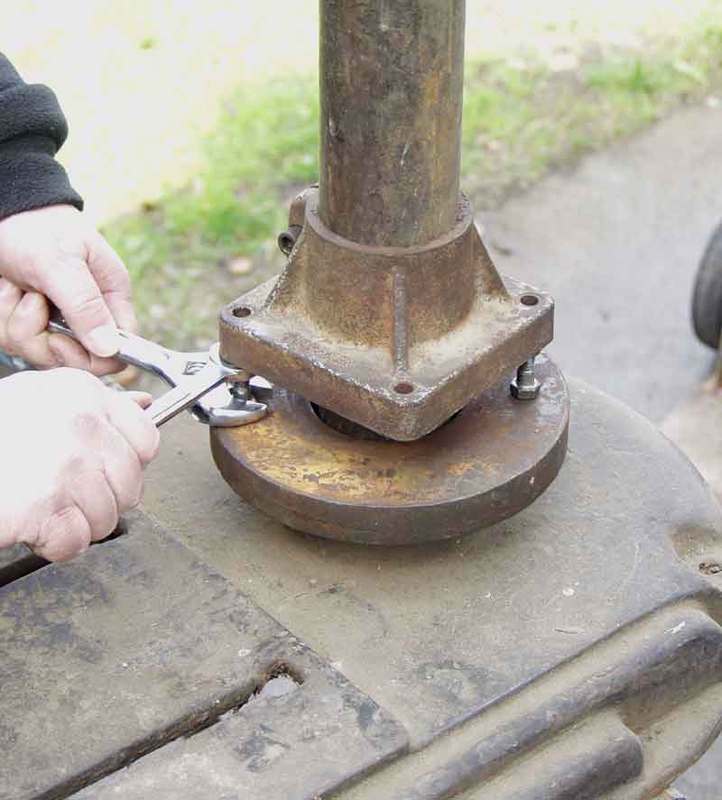 It helps to put a rope or strap around the column and hang it from a hoist, to hold it as it is jacked out of the base. I think I have removed 6 now, using this tool. Three of the bases were the round Walker-Turner ones. You would not believe how tight they were. One of them was so tight I had to place an extra collar above the piece with the square bottom, to keep it from sliding up the post when the jack-screws were turned. Here are a few pictures showing how it works. Additionally, using heat and cold may help the process. One possible method is to pour crushed ice down the column while it's upright on the ground, then use a torch on the column collar to expand it while the ice contracts the column tube. Some makers may have shrunk fit the tubes in the bases, making them more difficult to remove.